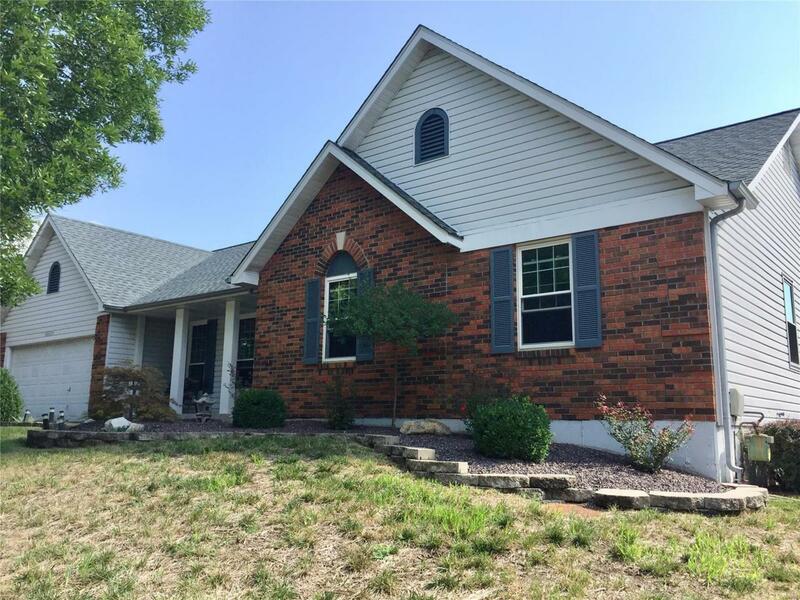 Great rm ranch-3 bedrms, 2 bath & office/den w/2 c.gar. 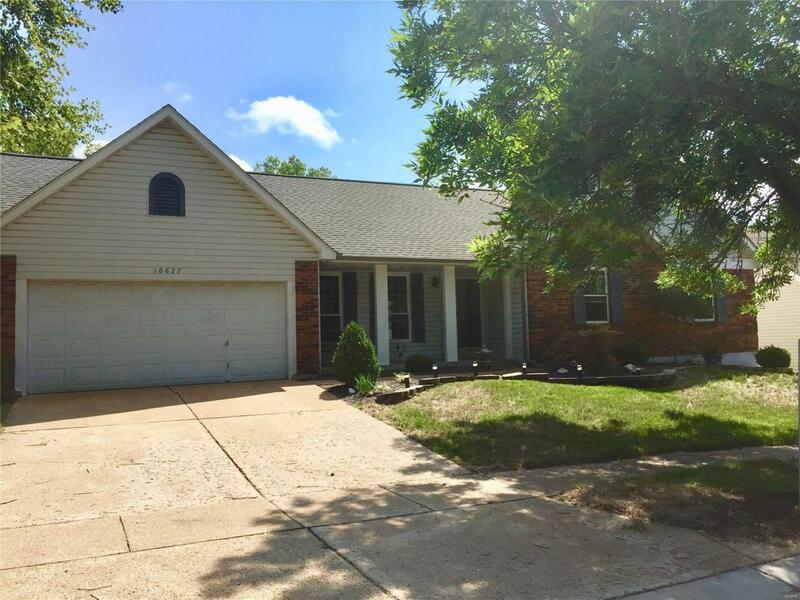 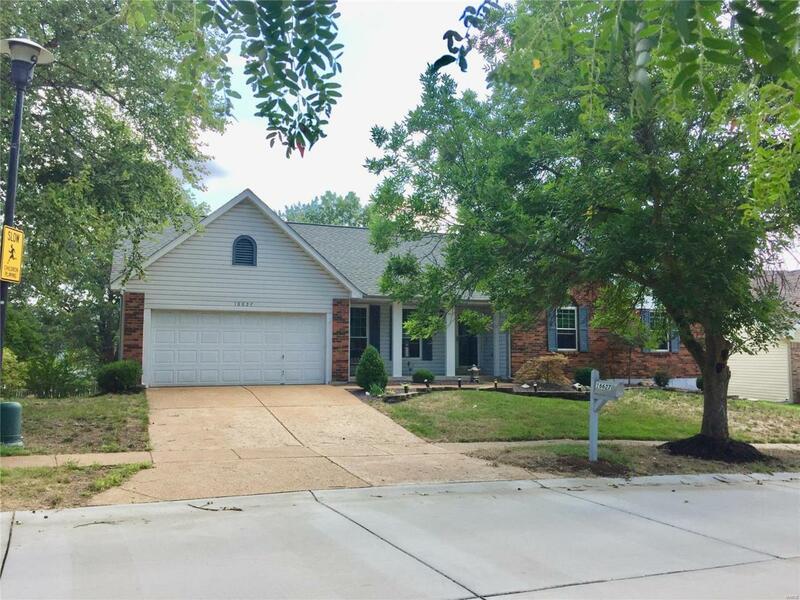 in Rockwood School District*Enter foyer to open floorplan w/vaulted ceilings that extend into grt rm, dining rm & kitchen*Grt rm has new skylights(2010) & woodburning fireplace*Kitchen w/granite counters,center island & newer s.s. stove,fridge,microwave*MAIN FL. 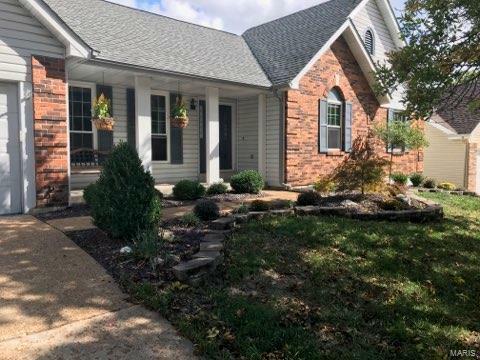 LAUNDRY*New prof. installed laminate wood floors(2018) in grt rm, dining rm, den/office, entry & hall*Newer light fixtures*Master bedrm ste includes luxury bath w/double sinks, soaking tub, sep. shower & new skylight(2015)*Office/den could be converted to 4th bedrm*All wood stained 6-panel doors*Nice deck off kitchen*Level backyd accessed by deck or LL w/o*New thermal windows-2010*New roof (architectural shingles) & gutters-2015*New Lennox heating & a/c-2015*Wooded common ground w/walking path directly across the street*Backyd path (between neighbors fencing) leads to lg, open, level common ground-great for playing catch/kicking the ball around*Passed Metro Fire Inspect.